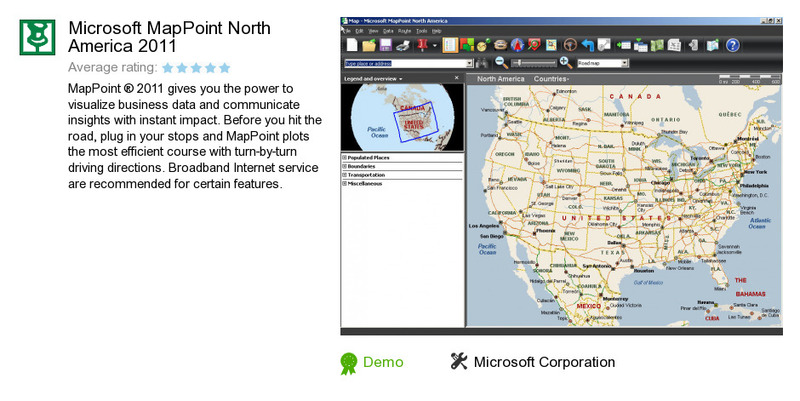 Microsoft MapPoint North America 2011 is a program developed by Microsoft Corporation. We know of version 18.0. Version 18.0.26.201 is available for download at our site. Microsoft MapPoint North America 2011 installation file has a size of 1,368,087,498 bytes. Microsoft Corporation also publishes WCF RIA Services SP1 and Microsoft Visual Studio LightSwitch.